Summer’s best beauty finds from The Drugstore Princess! For most, summer is the season of carefree fun - with lots of sun, water, and activity. Whether you live in a climate where it is hot year round, or you only get a bit of warmth for a few months (as I do! ), it’s important to have a beauty routine that suits the season. These are 20 of my favorite products for these hot days… all under $15! Protection from the sun is SO important. UV rays damage your skin, and are the leading cause in premature aging. Even on cloudy, rainy days, it’s really important to wear SPF. On days when you’ll be in direct sunlight, sunblock should be reapplied every few hours (SPF 15+ is recommended, with over 30 being the best). 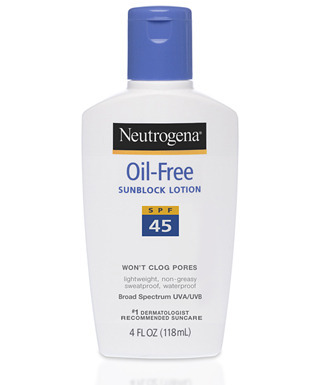 But for day-to-day life, you don’t want thick, greasy sunscreens on your skin. This oil-free version is light and dry to the touch, and won’t cause breakouts while still protecting your skin. Cleansing is important, morning and night. In order to keep your skin healthy and clear, it is necessary to remove all of the dirt, oil and makeup that your skin accumulates, which has the potential to block your pores. This is a gentle cleanser, perfect for all skin types (even sensitive faces! ), and is formulated without harmful fragrances or dyes. It feels great on the skin and won’t overdry. In addition to keeping your skin protected from the sun, it is also important to keep your skin hydrated. Moisturizing before you apply makeup will keep your face happy, and will also make your cosmetics look more natural on your skin. This is a deeply hydrating moisturizer that doesn’t make the skin greasy. 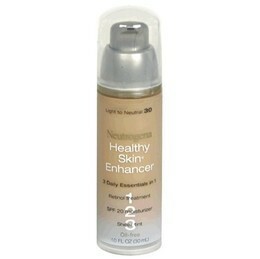 It also contains SPF 15, for added benefits! Everyone knows these days that tanning beds equal trouble for your skin, so a faux glow is highly coveted! However it’s very easy for fake tans to go terribly wrong. With this product it’s practically foolproof! This self tanner builds up gradually, while smoothing and moisturizing the skin well. It has a pleasant scent and the color looks completely natural! I love witch hazel, because it’s all natural and has so many uses! Use it as a toner at night, and wake up to clearer, more even skin. This will reduce redness and is also helpful on scrapes and razor burn. Witch Hazel will even soothe sunburn! It soothes and disinfects without tons of added chemicals, and is safe for all skin types because it isn’t drying at all. Summer is the season where beachy waves are coveted… both at the ocean and on your head! Heat styling can be uncomfortable, and is very damaging. Working with your natural texture is much better for your hair. 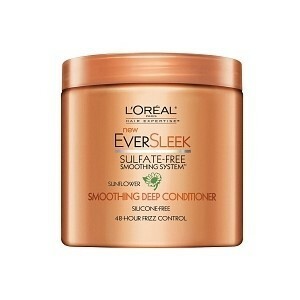 This amazing mousse has been a staple in my hair routine since I first found it years ago. Whereas many mousses can make hair crunchy, or simply don’t hold any style, this mousse gives you touchable body and style… like your natural texture intensified. This mousse also contains a leave in conditioner that softens your hair while you use it! The sun and humidity can really wreak havoc on your hair, drying it out and causing it to frizz up. The silicones in most anti-frizz products work for a little while, but end up drying out and damaging your hair, while causing build-up on your scalp. This great-smelling, sulfate-free deep conditioner is your hair’s best friend this season! 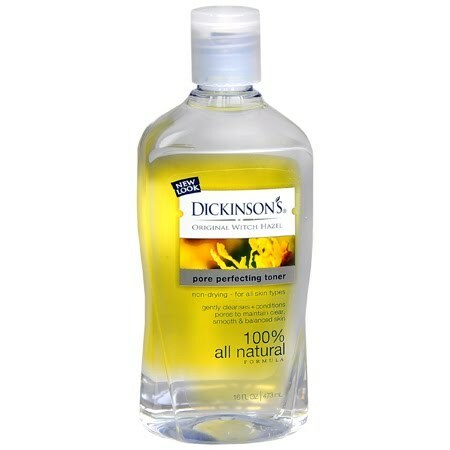 It’s inexpensive and will work miracles on damaged hair overnight. Hydrated hair is healthy hair, and healthy hair has great shine, volume, and absolutely no frizz. Most hair types are difficult to curl… or at least, to keep curled. Curly styles created with hot irons simply don’t stay, and the reason is simple - the curl hasn’t set. For really lasting, fabulous curls and waves, foam or sponge rollers are the answer! 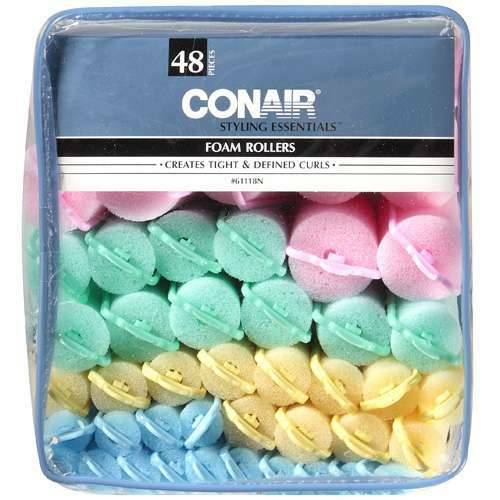 Insert these rollers into damp hair at night, and by the morning your hair will have dried, revealing perfect, long-lasting, silky-smooth curls! These don’t damage your hair like hot rollers or curling irons will, and they’re incredibly easy to use. They’re also very inexpensive! 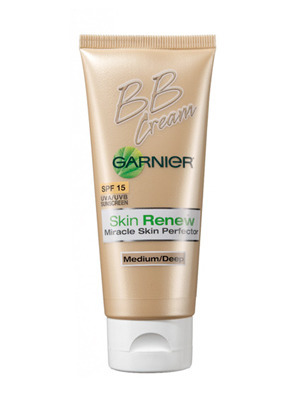 BB Creams are all the rage… this “Miracle Skin Perfector” is one of the first ones to hit the market in the United States, which is cause for excitement. Although this doesn’t really compare to Asian versions, this product definitely has a lot of benefits and works great as a vamped-up tinted moisturizer. This product is a moisturizer, sunblock, primer and light foundation all in one. Although it doesn’t provide much coverage, you only need a little bit of product to get the benefits. This is a great base for any summer look, because it allows your skin to breathe in the hot weather, unlike heavy foundations, which will result in a clear, bright complexion. Going light on the face products is ideal in the summer months. 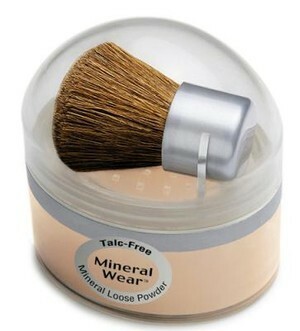 A loose mineral powder will even out the complexion while allowing the skin to breathe. Physician’s Formula powder is inexpensive compared to it’s competition, and looks great on the skin. You only need a small amount, as it goes a long way. Apply this over your moisturizer and concealer for a flawless face. The only flaws with this product is the packaging… I recommend tossing the brush altogether, and be prepared for a little messiness. But the formula looks great, and works well even on sensitive skin. This tinted moisturizer really does what the name implies… enhances your skin’s natural beauty, and also helps your complexion to become healthier, and clearer. This is an oil-free tinted moisturizer, but still manages to smooth dry patches without causing greasiness. 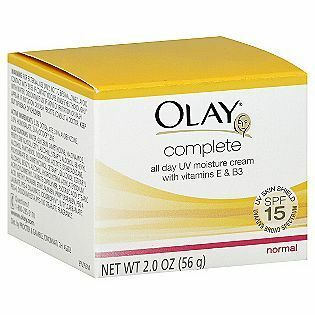 This also has SPF 20, for sun protection, and retinol, which brightens the skin and is known to help prevent breakouts! Setting sprays are a gift from the makeup gods. The best setting sprays cost $20 and up, but this little beauty performs well, and won’t leave a dent in your wallet. Setting sprays help your makeup last longer and look more natural. Spritzing a bit over your foundation will keep you from looking cakey, and give you a dewy complexion. Hold this about 8 inches from your face and spritz all over the face, and you’ll fall in love as I have. 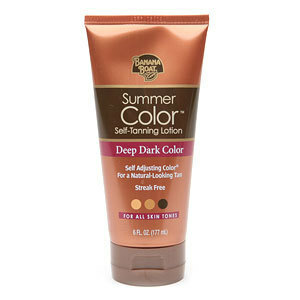 If you’re trying to get your bronze on, this product really packs a punch! You get a TON of product for a very little price. This bronzer even contains SPF 15, and is finely milled so it doesn’t look or feel cheap. 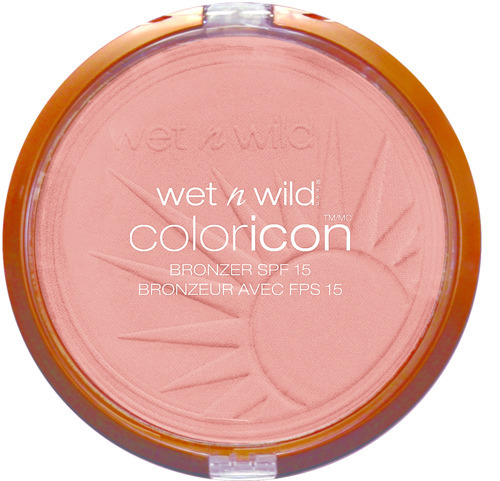 Wet n Wild’s bronzer is perfect for contouring, highlighting, or for getting bronze on your shoulders and chest as well. I highly recommend this, for summer and beyond! Keeping your skin hydrated and looking flawless is a must this season, and with these illuminators it’s easy to do! These come in satiny pink as well as bronze shades, and work as highlighters or bronzers, depending on what you prefer. The shimmer is subtle and simply catches the light without looking glittery. These are also moisturizing, have a light fresh scent, and provide SPF 18! Good deal, great product. I’ve chosen to feature this eyeshadow in this specific shade, because it’s fantastic on everyone. Any skintone or eyecolor benefits from a sheer wash of gold, which this fantastic, long-lasting eyeshadow provides. 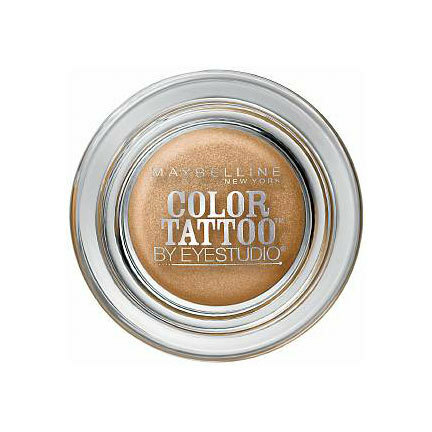 This can be worn alone or with other shadows, and makes a great base for intricate eyeshadow looks. Nothing ruins a fresh summer face quite like smudged eyeliner. With this great pen, you won’t have to worry. The felt tip is thin and can get very close to the lashline, and even works for winged looks. The formula is pigmented and lasts all day, but comes off without struggle with makeup remover. Plus you won’t see a dent in your wallet, and you can get them in several shades! The most important product in my makeup arsenal is definitely my mascara. I can go barefaced, and simply apply a bit of mascara to my lashes and immediately feel more made-up. 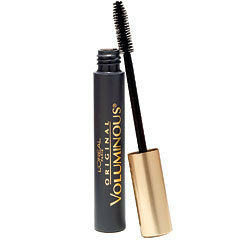 This mascara is wonderful, and works great for all lashes. The brush is not too big or too small, and will apply the perfect amount every time. The formula is thick and dramatic, but doesn’t clump at all, and adds natural-looking drama with minimal effort. Waterproof means… swimming and sweating is no problem! These lip balms are all the rage, all over the world. They’re hydrating, smooth, and come in bright packaging. Some even have a bit of tint, but most importantly, all of them have SPF. Many people forget to protect their lips from the sun’s rays, and the result is dry, chapped lips. These will protect and nourish, unlike most lip balms, which are waxy and sit on top of the lips. It’s not often that you’ll find an inexpensive lip gloss that is the same color on your lips as it is in the tube… and even more rare to find one with SPF! 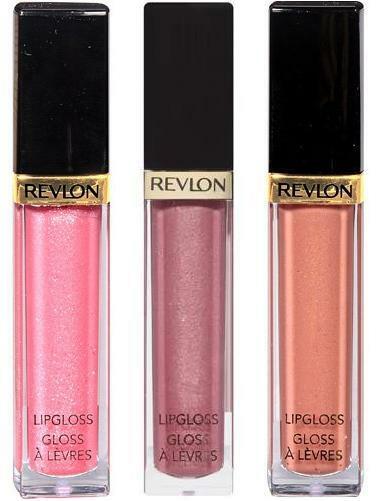 These super-shiny, non-sticky glosses come in tons of gorgeous shades, and will protect your lips while they dazzle. 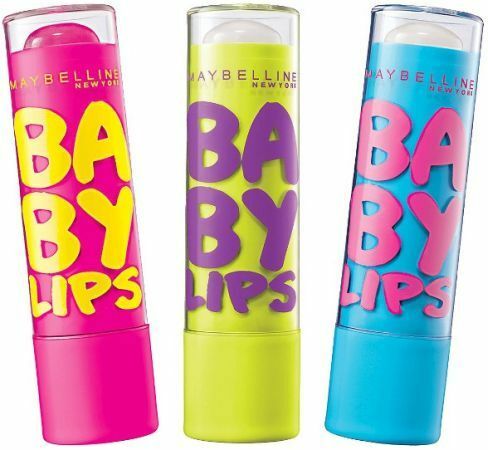 A sheer flush of color that lasts is hard to achieve, but these new lippies from Maybelline do the trick. 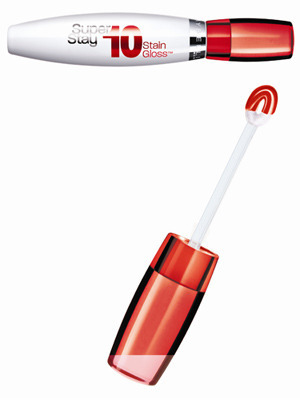 The color applies very opaque and slightly glossy, and the shade lasts on your lips for almost all day. These are perfect for the beach, shopping, or whatever your summer days may bring you. The moral of the story… keep your beauty products light, but bright, and always remember to moisturize and protect yourself from the sun! Stay beautiful, and have fun this summer.